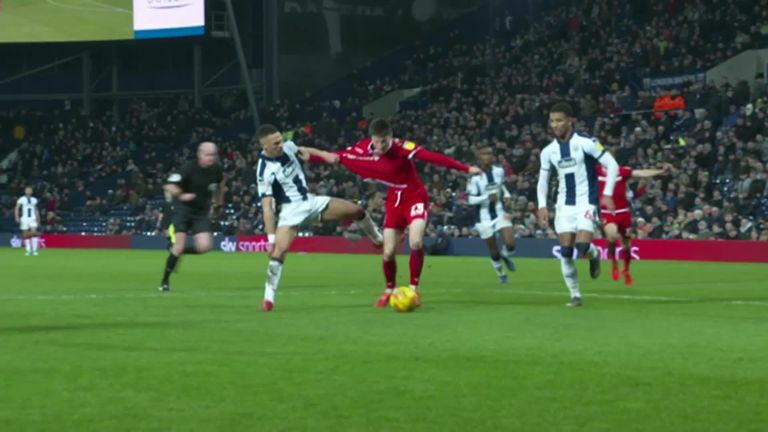 West Brom striker Dwight Gayle has been charged by the FA for "successful deception of a match official" following his side's 2-2 draw with Nottingham Forest on Tuesday. The FA allege the 28-year-old, who is on loan at The Hawthorns from Newcastle, committed an act of simulation to win a penalty in the 89th minute of the game. The referee deemed Alexander Milosevic's tackle on Gayle was a foul, allowing Jay Rodriguez to covert the late penalty and earn a point for his side. Gayle has until 6pm on Thursday to respond to the charge. FA rules introduced in 2017 allow players to be retrospectively charged if they win a significant advantage by diving. Players found guilty face a two-game ban.